Edwin Glenn Gaddis (7/24/32 - 6/19/12), retired Houston Firefighter and entrepeneur, will be missed by his wife of 47 years, Gayle Gottlick Gaddis and family members Glenn, Gary, Angel, Sheila, Justyn, Stephanie, Abigail, Taylor, Mallory, Shane, and special friends Stephen Mora and Jeff Armbruster as well as many other cherished family and friends from across Texas, Louisiana, and New Jersey. Eddie will now join his son Guy Patrick, who was slain in service as a Houston Police Officer in 1994. Eddie was a friend to all, and his kindness and patience will be remembered most by all those blessed to call him friend. His greatest love in life was spending time with the family that he and his devoted wife had built together. Family vacations with the grandchildren especially made his heart glisten through and through. Texas State Senator Mario V. Gallegos, Jr., was a lifelong Houstonian who grew up in the East End neighborhood of Magnolia Park, near the ship channel. He graduated from Milby High School and joined the Houston Fire Department at age 18. Mario served the department with distinction during a 22-year career before retiring as a senior captain. He was active in union affairs, making a number of trips to Austin to lobby for firefighter issues and gradually developing a broad interest in politics. Mario was elected to the Texas House of representatives in 1990 by a landslide vote. He represented Houston's District 143 for two terms, taking a special interest in public education, health care, and other issues he believed would have an effect on the lives of the predominantly working-class residents in his district. In 1994, Mario made history as the first Hispanic elected to the Texas Senate from Harris County. Reelected several times, Mario represented the residents of Senate District 6 for nearly two decades. Keenly aware of the need to develop economic opportunities in his district, Mario passed legislation creating municipal management districts that revitalized communities and served as a model for other Texas cities. Mario was one of the Senate's biggest champions of senior citizens and of education, and he believed that "making a solid investment in our children is one of the smartest things we can do, one which will reap long-term benefits for our state." He defended Medicaid funding for residents in long-term care facilities and fought for teacher pay raises and increased funding for Texas schools. Mario's special expertise in firefighting was always evident in his dedication to issues concerning fore safety and law enforcement personnel. He received numerous awards for passage of public safety legislation, including recognition by the Texas State Association of Fire Fighters and the Combined Law Enforcement Association of Texas. Mario attended the University of Houston and earned his Bachelor of Arts degree in social sciences in 2001. He served as one of his alma mater's strongest voices in Austin, advocating for increased university funding and broader access to higher education in his district. In January 2007, Mario received a liver transplant at the Texas Medical Center in Houston, forcing him to be absent at the start of the 80th Legislature. Only weeks following the surgery and against doctor's orders, a hospital bed was installed in the Office of the Senate Sergeant-at-arms so he could cast his vote against a bill requiring voters to show photo identification. Mario argued the bill would unfairly discriminate against minority voters. His bedside vote helped to kill the legislation during that session. Mario received numerous awards in appreciation for his work during his legislative tenure, including: Texas Municipal League's "Distinguished Legislative Service Award," Sierra Club's Legislative Service Award, Texas Women's Political Caucus Good Guy Award, Legislator of the Year by the Mexican American Bar Association of Texas, and the Fiestas Patrias Distinguished Hispanic of the Year Award. Mario is survived by his wife, Theresa Gallegos, daughter Ali Templer, daughter Melissa Gallegos, son Mario Elias Gallegos, III, and five grandchildren: Jake Gallegos, Hollis Templer, Jesse Gallegos, Teresa Hernandez and Christina Hernandez. He is also survived by his mother, Olga Gallegos, sister Maria Gallegos, sister Olga McGee, sister Lillian Vilarreal, brother Joel Gallegos, brother Michael Gallegos, sister Cynthia Trevino and a host of extended family. Active Pallbearers will be Senator John Whitmire, Brigadier General Joe Ramirez, Jr., Rick Donley, Michael Gallegos, Joe Sanchez, Victor Tijerina, Manuel Gaitan, Toby Hernandez, Jr. and Manuel Mejias. Honorary Pallbearers are Senate and House Members, Senate District 6 Staff, Firefighters Local 341, Nick Kralj, all close and trusted friends. The Senators body layed in State in the Senate Chamber in the Texas Capitol on Friday afternoon. Visitation will be on Sunday, October 21st, 2012 after 4p.m. at the University of Houston Cullen Performance Hall with a Rosary being recited at 6:30p.m. The funeral mass will be celebrated at the Co-Cathedral of the Sacred Heart on Monday, October 22nd, 2012 at 9:30a.m. A reception will follow at the CWA Union Hall. The burial will be a private family-only ceremony. The Family wishes to thank the Senate District 6 community and friends across Texas for their love and support of Mario. Robert Herman Garner IV was born on April 14, 1984 in Port Arthur, TX to Robert Herman Garner III and Cydnee Green. Robert passed away on May 31, 2013. Robert will be remembered by all as a hero for the brave actions he took in the fire that claimed his life. To those who knew him well he was a hard working, loving, loyal, and dedicated young man. In 2003 Robert joined the United States Air Force where he proudly served for 6 years. During this time, Robert completed two tours in Iraq fighting for his country. Upon leaving the Air Force, Robert began the quest to fulfill his dream of becoming a Houston Fire Fighter. That dream was realized in 2010 when Robert was accepted into the Houston Fire Academy as part of Class 2010 B. Robert put his incredible work ethic to use and began to study and train until he graduated second in his class. Robert had the honor and privilege of beginning and ending his firefighting career with the men and women of Station 68. These men and women were like family to him. He treasured every day that he had the opportunity to serve along side them. Robert was loved and valued by so many! He was an amazing son, brother and friend. His memory will live on and he will never be forgotten. Funeral services will be held at 1:00 PM, Friday, June 7, 2013 at River Pointe Church, 5000 Ransom Rd., Richmond, Texas 77469. Interment will follow in Forest Park Westheimer Cemetery. Henry "Hank" M. Garza, 68, of Houston, Texas, passed away unexpectedly on April 13, 2013. Henry was born in Houston, Texas on January 12, 1945. He Graduated from Stephen F. Austin High School. Henry worked as a Fire Fighter for the City of Houston for 35 years. He enjoyed playing Golf, Trail Rides, Camping, supporting his Houston Texans and all things pertaining to family fun. Henry was also actively involved in Pan American Golf Association, Fort Bend County Vaqueros, Life Time member of the Houston Livestock Show & Rodeo Directions & Assistance Committee, St. Frances Cabrini Men's Club, and Knights of Columbus Chapter 3700. Henry is survived by his loving wife Teresa "Terry", mother Annie, brothers Ralph (Marie), Ruben (Rachel) and sister Melinda (Ruben), children, Annette (Bobby), Henry Jr., Melissa, Elizabeth (Darryl) and Lisa Ann, grandchildren, Marcus, Brittnee, Vanessa, Brooke, Darryl Jr. and Amanda. Visitation will be held at 5:00 p.m. on Thursday April 18, 2013 at St. Frances Cabrini Catholic Church, 10727 Hartsook St., Houston, Texas 77034, rosary 7:00 p.m. Mass of resurrection is Friday April 19, 2013 at 10:00 a.m., at St. Frances Cabrini Catholic Church proceeding rite of committal at Forest Park East Funeral Home. "I can do everything through Christ who strengthens me"
JIMMIE LEWIS GILL, JR., unexpectedly passed away November 28th, 2012. He was born July 2, 1958, in Houston, TX. He was preceded in death by his father, Jimmie Lewis Gill, Sr. Survivors include his wife of 31 years, Laura Lee Gill; his mother, Joan Gill; his father-in-law, Dr. Charles Lee Wolf and wife Lavada; his children, daughter Angela Nicole Gill-Cox (Nikki) and husband Jason; and son Jimmie Lewis Gill III (Trey) and wife Celena; three beautiful grandchildren, Brooke Taylor Gill, Allyson Paige Gill, and London Tyler Gill; sister Terry W. High and husband David; sister Janet D. Gill; brother Scott M. Gill and wife Becky; and sister Nancy G. Daniels and husband David. Jimmie was a highly respected and influential District Chief for the Houston Fire Department for 31 years. During that time he was also the Chair for the Houston Firefighters Relief and Retirement Fund and headed the EMS department for HFD. He and his wife also owned a successful business for almost 30 years. Jimmie was a great man who thought of everyone else first before himself. Laura was the love of his life for 31 years, his soul mate. He was also a very dedicated family man, doing whatever he had to do to provide for them. After his retirement, he took pleasure in spending time with his family at the lake house, racing the car he always wanted, watching the races on TV, and loving every moment he had with his grandchildren. A memorial service will be held at 10:30 a.m. Friday December 8, 2012, at First Baptist Church, 7401 Katy Fwy., Houston. If desired, donations may be made in Jimmie's memory to the Last Alarm Club of Houston. The Lord called Gary Lynn Goodlett home at the age of 59 on Sunday, July 2, 2006 after a short battle with aggressive stomach cancer. He passed peacefully at home with close friends and family in attendance. Gary was born June 2, 1947 in San Angelo, Texas to Joseph Oliver and Velma Mildred (Williams) Goodlett. He was in the first graduating class for paramedics in HFD and served in that capacity for thirteen years. After leaving that branch, he became an engineer operator. His last station assignment was at Station 31 on the B shift before his retirement in 2004. He took the greatest pride in belonging to the brotherhood of firefighters and leaves behind many brothers who grieve the passing of their friend, but continue to contribute to acts of heroism day in and day out. Gary was preceded in death by his father, Joe Goodlett. Surviving to cherish his memory and follow in his footsteps is his mother, Velma, who currently lives at Park Manor in Conroe; wife, Sharon, of thirty-six years; sons, Ryan and his wife, Lisa, and Brandon. Visitation will be held on Tuesday, July 4, 2006 from 5 to 9 p.m. at Cashner Funeral Home. Funeral services will be held at the First United Methodist Church at 10:30 a.m. on Wednesday, July 5. In lieu of flowers, donations can be made to the Gary Goodlett Memorial Scholarship Fund at First Bank of Conroe. You are invited to leave a written tribute for the family on our website at www.cashnerfunerals.com. Frankie Elmo Gore, 48, Houston Firefighter, passed away Monday, March 15, 2004 in Houston, Texas. He is survived by his wife, April Gore; sons, Daniel and David Gore; mother, Anna Gore; brothers Harold Gore and Tommy Gore and wife Sue; sisters Georgia Sadler and husband Rick and Maria Morrow and husband Gordon; along with a host of relatives and friends. Visitation will be held Thursday, March 18, 2004 from 6 to 9 p.m. at Rosewood Funeral Home in Humble, Texas. Funeral Services will be at 12:00 PM on Friday, March 19, 2004 at the funeral home with interment following at Rosewood Memorial Park. Roy Kent Grandberry, Sr., 68, born in Fairfield, Texas on March 6, 1935, went to be with Our Lord on March 29, 2003. Pasadena with interment following at Forest Park Lawndale Cemetery. 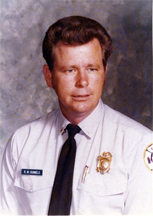 Alcus Greer, Former Houston Fire Marshal, age 89, passed away Monday, September 26, 2005. A native of Houston, Mr. Greer was born October 21, 1915 to Charles and Fanny Greer. His brother, Charles Greer, preceded him in death. Mr. Greer is survived by his loving wife of 61 years, Doris, and beloved son, Alcus Greer, II, sister-in-law, Anita Lancaster, and brother-in-law, James E. Moore. Mr. Greer is also survived by many other relatives and friends. The family will receive friends Monday, October 3, 2005 from 4:00 PM to 8:00 PM at Forest Park Lawndale Funeral Home (located at 6900 Lawndale in Houston) where funeral services will be held at 1:00 PM Tuesday, October 4 in the Main Chapel. Interment will follow in Forest Park Lawndale Cemetery. Alcus Greer worked for the Houston Fire Dept. from 1939-80. Among his responsibilities, he worked as chief inspector, chief arson investigator and fire marshal. Alcus was appointed by Gov. Preston Smith to be a member of the "Texas Commission On Fire Protection Personnel Standards And Education". He was reappointed by 4 governors to be a part of this commission. An Alcus Greer Day was established in 1995. (He had retired as fire marshal in 1980.) The Alcus Greer Award For Excellence is given annually to the outstanding arson investigator of the Houston arson bureau. The Stonecutter's Award for Alcus Greer was accepted by Alcus Greer II, his son, at the 2005 State Fire Fighters Convention. The Stonecutter's Awards program is sponsored by the Texas Retired Fire Fighters, a branch of the Texas State Association Of Fire Fighters, to recognize and honor great leaders of the TSAFF past. Ronald Wayne Gunnels Sr. 66 years, entered into eternal rest on March 11, 2009. "Wayne" enjoyed life and loved all sports, tennis, fishing but most of all golf. 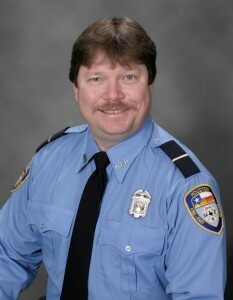 He was a courageous firefighter for 37 years and also served as Captain with the Houston Fire Department. He was a member of the Masonic Lodge and was a faithful friend to many. His memories will forever be cherished by his loving wife of 46 years, Josephine; children: Ronnie Gunnels & wife Tammy, Ronda & husband Danny Hinton, John Gunnels & wife Tracie; 6 grandchildren; 5 step-grandchildren; mother, Delilah Head; also survived by his 2 brothers & 2 sisters. Visitation will be on Saturday, March 14th from 12-6PM and Sunday, March 15th from 12-8PM. Funeral services will be held at 12:30PM on Monday, March 16th. All services will be held at Brookside Funeral Home. Interment and "Fireman's Last Call" will follow in Brookside Memorial Park. Daniel D. Groover, 46, passed away July 9, 2014. Funeral services were held July 12, 2014 Woodlands Church. Burial at Houston National Cemetery. Daniel Groover, 47, passed away Wednesday, July 9, 2014 in Houston, Texas. He is survived by his loving wife of 13 years, Ellie Groover; children, Marcus Rodriquez, Thomas Vela and Cory Groover; parents, Gary and Joyce Groover; Numerous other relatives and a host of loving friends. Funeral services will be held at 10:00 a.m., Saturday, July 12, 2014 at Fellowship of the Woodlands Church, Fellowship Dr., The Woodlands. RONALD WAYNE GUNNELS, SR., 66 years, entered into eternal rest on March 11, 2009. "Wayne" enjoyed life and loved all sports, tennis, fishing but most of all golf. He was a courageous firefighter for 37 years and also served as Captain with the Houston Fire Department. He was a member of the Masonic Lodge and was a faithful friend to many. His memories will forever be cherished by his loving wife of 46 years, Josephine; children: Ronnie Gunnels & wife Tammy, Ronda & husband Danny Hinton, John Gunnels & wife Tracie; 6 grandchildren; 5 step-grandchildren; mother, Delilah Head; also survived by his 2 brothers & 2 sisters. Visitation will be on Saturday, March 14th from 12-6PM and Sunday, March 15th from 12-8PM. Funeral services will be held at 12:30PM on Monday, March 16th. All services will be held at Brookside Funeral Home. Interment and "Fireman's Last Call" will follow in Brookside Memorial Park. Matthew Joseph Gallien Sr. went to be with our Lord on Saturday, November 29, 2014 at the age of 91. 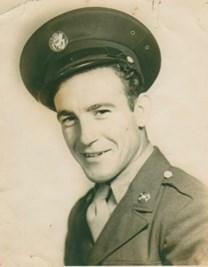 Matt was born September 3, 1923 in Montrose, Louisiana.Matt was a World War II veteran, having served in the 3rd Army in Normandy, Northern France, Ardennes, Rhineland and Central Europe. In 1955 he joined the Houston Fire Department, where he served the city for 21 years. While there he helped fabricate the first paramedic ambulance and the first fire boat to serve the Houston Ship Channel. Matt was very proud of his service to our country and to the City of Houston and was always willing to share his memories. Matt is survived by daughter Victoria "Vickie" Robinson; son Matt "Bubba" Gallien Jr.; granddaughters Amy Smith McPeak and husband Jim; Julie Smith; Autumn Gallien; Sydney Floyd and husband Joe; great-grandchildren Meagan, Kyle, Katelyn, Brandon, Madason, Andrew, Dawson, Madellyn, Joshua, Keira, Walker, Ryker and Gunner; sister Joyce Daughtery and numerous nieces and nephews. Matt is preceded in death by his wife of 67 years, Madell; his mother and father Edna & Alfred Gallien; brothers Sergis, Neil and Carroll Gallien; sisters Agnes "Sis" Bryant, Delores "Hattie" Steele and Jewell Pfeffer. Our family would like to extend their heart felt appreciation to Matt's caregivers Ratonda, Margarita, Brenda and the Harbor Hospice staff.